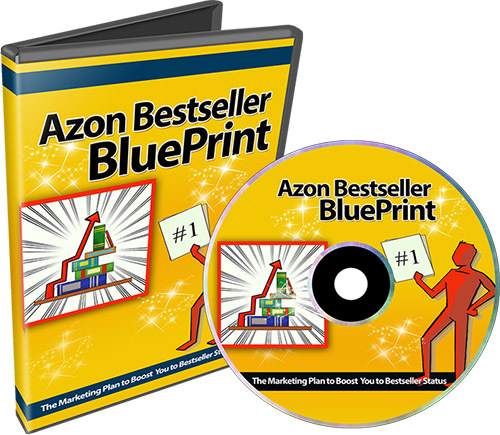 "Finally, Discover the Exact Step by Step Marketing Blueprint Which Will Teach You How to Boost your Book to Bestseller Status!" This specific training course was designed so you could watch over my shoulder, step-by-step, click by click, to ensure that you are able to successfully and effectively understand how to market your book on Amazon. You've spent hours, days, or even months writing your book and getting it proofread. You have your book ready to sell on Amazon. After months on end - you make a couple of sales, maybe one sale, or worse none at all. You're up at night trying to figure out why in the world this is happening. You see your competitors selling similar books and they're making sales or dominating the market. Why is yours not selling? You know that if you had the chance to just place it in front of that same or the right audience, they would snap it right up! How will you reach the audience that wants to read your book? How can you increase your marketing reach? Unfortunately I have to say that you cannot build a business and expect people to come without reaching out to them. The ‘build it and they will come’ mentality does not work online. Ok - now that I have your attention, if you had access to this missing piece of the puzzle would you reach out and grab it? In this specific video I am going to help you get started in understanding how to effectively market your book. I'm going to get you into the right mindset so that you understand how to do this the right way and rocket your book to the bestseller list. And also, most importantly I’m going to show you how all this works and what tools you will need. Before we jump in and talk about potential marketing strategies that you can use to begin driving traffic to your book, the first thing you want to do is look at your book to ensure that it converts the highest when people come and check out the sales page. So, in this specific video we are going to cover two primary areas that you need to make sure you have done correctly in order to have the best conversions. Amazon gives you the ability to choose up to two categories and seven keywords for your book. Therefore, you want to make sure that you choose these categories and keywords wisely, because the worst-case scenario is that you choose the wrong categories and keywords. If you do, you may not get the most targeted traffic to your Amazon sales page. Unfortunately in this day and age social proof is so important. This means that if you don't have any reviews on your book’s sales page then it's most likely that people will simply pass over it and not take a look at it. So the big question is how do you acquire good reviews? Now in this specific video I am going to show you legitimate ways of getting reviews that also follow Amazon’s rules. This is because there are also different ways that you do not want to get reviews with to avoid violating Amazon's terms and conditions. Social media marketing is a great way to promote your book and get the word out. This is simply because if you are able to reach a market that is already interested in your type of book, then most likely they will know other people that are interested in the same topic of book as well. So, in this specific video we are going to be covering four different social media networks that you can use to promote your book. Besides the other four basic social networks that we covered in video number five, in this specific video we are going to be covering social networks that are focused primarily on books. These types of networks are great for book readers who are looking for specific types of books, to be shared, to be read, and more. One of these two book social networks are a great way of driving tons and tons of traffic to your book’s sales page. Book blogs are another great way of getting the word out about your book. However, there is a right way of doing it and a wrong way. So. in this specific video I'm going to show you the right way of finding people in your target market to promote your books through these blogs. Giveaways are another great method of marketing your book. In this specific video, I am going to show you how to properly use giveaways to drive massive amounts of targeted traffic to your book’s sales page and therefore increase your Amazon sales rank. One of the things that most book authors forget to do is build their list. Think about it - if you create a book and you have a list of buyers and readers who are interested in your future books, then when you release a book in the future you will be able to announce this new book to your list followers. And most likely they are going to want to know about your new upcoming book anyways, so it's a win-win situation. 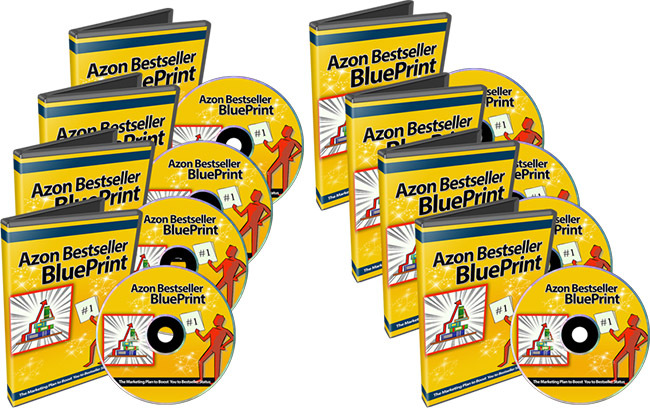 Grab this video course and learn how to boost your book to bestseller status! P.S. Not everyone knows how to effectively market their book, but now you can learn and get ahead of everyone else by watching this video series. P.P.S. This specific training course was designed to help you watch over my shoulder, step-by-step, click by click, to ensure that you are able to successfully and effectively understand how to market your book on Amazon. This product is being sold by: Go-To Guy Enterprises with a 30 day refund period.